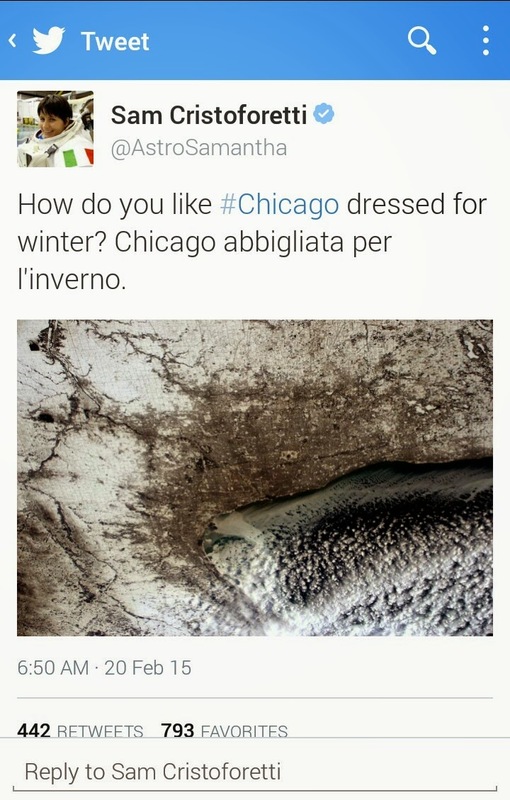 Washington: From the International Space Station (ISS), European Space Agency astronaut Samantha Cristoforetti took this photograph of Chicago and posted it to social media on Feb. 19, 2015. 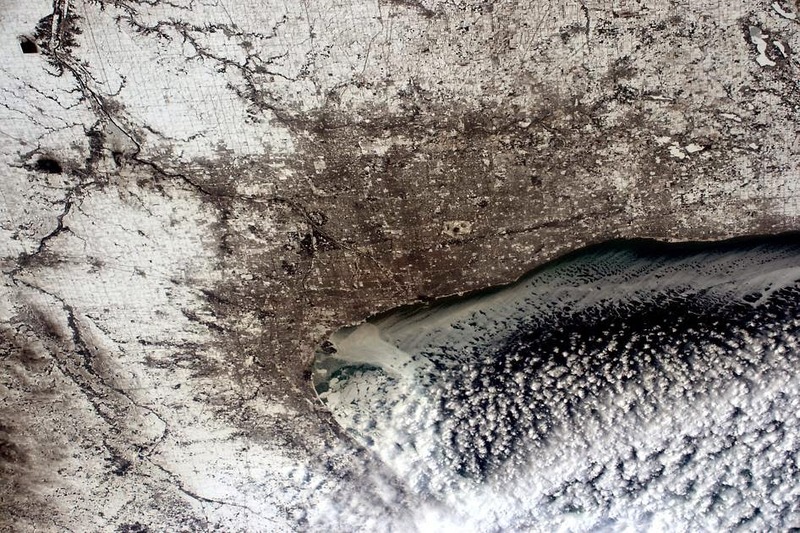 She wrote, "How do you like #Chicago dressed for winter?" Crewmembers on the space station photograph the Earth from their unique point of view located 200 miles above the surface as part of the Crew Earth Observations program. Photographs record how the planet is changing over time, from human-caused changes like urban growth and reservoir construction, to natural dynamic events such as hurricanes, floods and volcanic eruptions. Astronauts have used hand-held cameras to photograph the Earth for more than 40 years, beginning with the Mercury missions in the early 1960s. The ISS maintains an altitude between 220 - 286 miles (354 - 460 km) above the Earth, and an orbital inclination of 51.6˚, providing an excellent stage for observing most populated areas of the world.